The three and a half year old cat Maru from St. Petersburg has become a YouTube star. That could be not a big deal as great amount of cats from all over the world get a lot of attention for their lovely skills and funny things. But Maru is special, even Yury Kuklachyov, founder of the only cats’ theater in the world, recognized that Maru can do what no one other cat can — he does calculus! 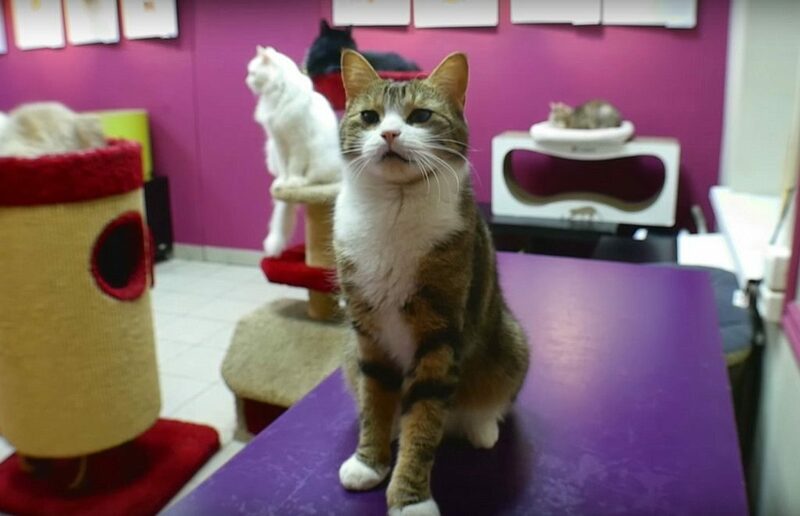 Maru was born and used to serve at the Hermitage museums where a team of about 50 cats guard museum’s exhibits from mice and rats. In 2014, the cat was transferred to the Cats’ Republic cafe where visitors can have a cup of coffee while playing with cats. The name of Maru came from the similarity to the famous Japanese cat Maru who was a YouTube star in 2014. One day, someone brought a ringer bell and wanted to teach Maru to use it. He took the cat’s hand and rang the ringer bell by it. Maru got some food for it and quickly understood that it could bring profit. The penny dropped and then he started to do it itself, though by head instead of hand. It was funny, but this is not the whole story. One day someone asked the cat how much one plus one is and Maru rang the ringer bell twice. Surprisingly, he can give any answer to any of the basic math operations including extracting the root. The YouTube video below shows the cat giving accurate answers to math questions. We checked it out, all the answers were absolutely right. If you want to check it out yourself, The Cats’ Republic cafe is located on 20, Yakubovich street, Saint Petersburg, just near the St. Isaac’s Cathedral in the very city center.